Marissa started her violin training at age three, and by age five she was a busy busking musician throughout greater Vancouver. At age twelve, she started playing for weddings, house parties, and corporate events. During her studies at the University of Victoria, she learned the viola, graduating with a BMus (distinction) in Viola Performance. Moving back to Vancouver she became a versatile and eclectic freelance musician, playing with tango groups, mariachi bands, orchestras, rock bands, and folk singers, among others. Marissa recently graduated from UBC with a BEd degree and is currently teaching music for the Surrey School Board District. Caroline holds a Diplôme D’Études Supérieure from the Conservatory of Music of Quebec, where she studied the violin with Marie-Françoise Coiffard and Calvin Sieb. Along the way, she took lessons with different coaches, including Bill Van Der Sloot, (Mount Royal College) and Kathryn Corvino (Calgary Philharmonic Orchestra), and played in the first violin section of the University of Calgary Orchestra, the Okanagan Symphony Orchestra, and the Symphonie of the Kootenays. Caroline attended Chamber Music Seminars at Stanford University, where she received coaching from the St. Lawrence String Quartet. Caroline is now based in Vancouver, and has performed with the Opera Appasionnata, the Vancouver Dawn Chorus Orchestra, the Solstice Orchestra, and the New Westminster Symphony Orchestra. She gave a recital titled “Music for a Summer Evening” in Vancouver and Langley in 2006, played in the musicals “The Thing About Men” (Presentation House Theatre) in 2008, and “Annie” (Theater Under the Stars) in 2009. In 2010, was a crew violinist of the Adagio String Trio for the Holland America Line MS Roterdam cruise ship, which was featured in the staged show “Amore”. 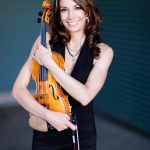 She is a member of the West Coast Symphony Orchestra since 2006, for which she has played as concertmaster and assistant concertmaster, and with the Syrinx String Quartet since 2011. 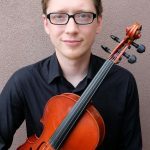 Dan Olsen holds a viola performance certificate from the Royal Conservatory of Music and studied viola for 12 years at the Vancouver Academy of music with Stephen Wilkes (Vancouver Symphony Orchestra). He has participated in numerous summer festivals such as the Johannesen International School for the Art where he was coached by Milton Katims (Seattle Symphony) and soloist Rivka Golani. He was a member of the Quadraphonic String Quartet for 6 years and has performed with numerous other groups, including the Vancouver Academy of Music Symphony Orchestra, and the National Youth Orchestra of Canada, with which he toured Ontario and Quebec. Dan currently plays with the West Coast Symphony Orchestra, and has played with the Syrinx String Quartet since 2012. He lives and teaches in Vancouver, BC. 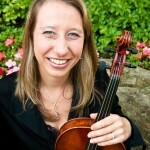 Elizabeth Knudson holds a BFA in Music from Simon Fraser University (2004), and a M.Mus. from the University of British Columbia (2006). She splits her time between teaching cello and composition privately at her home studio, composing, managing and performing with the Syrinx String Quartet (since 2004, as a founding member and cellist), as well as teaching cello, music theory and coaching chamber music groups at Saint James Music Academy. 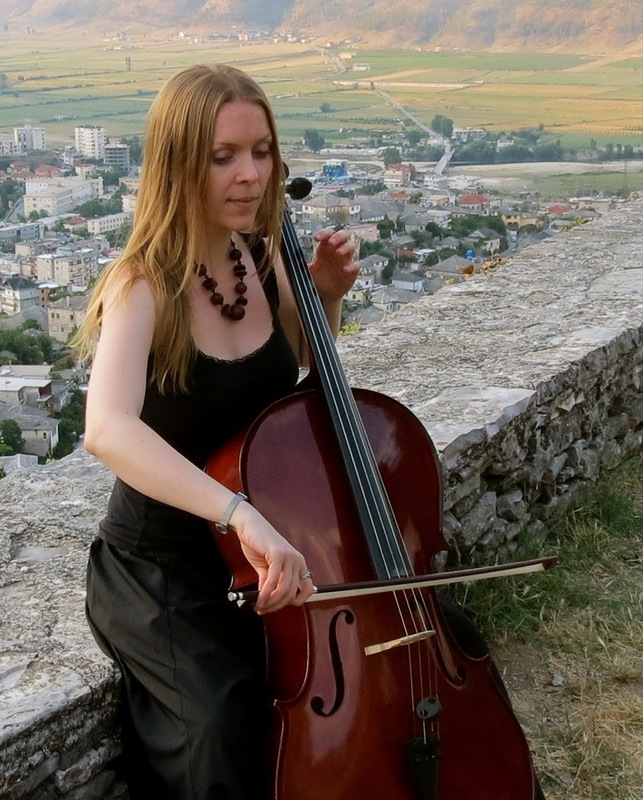 In summer 2012, Ms. Knudson toured Albania, Greece, and Macedonia with the West Coast Symphony. Elizabeth is an Associate Composer of the Canadian Music Centre, and has won local, national and international awards for her music. Her compositions have been performed by the Vancouver Symphony Orchestra, Victoria Symphony, West Coast Symphony, Vancouver Philharmonic Orchestra, musica intima, Chor Leoni, Vancouver Chamber Choir, Pro Coro Canada, Albanian Radio Television Orchestra (Tirana, Albania), Duo Ahlert & Schwab (Germany), and XelmYa (Germany), among others — as well as at festivals including the Sonic Boom Festival in Vancouver, BC, the Open Ears Festival in Kitchener, Ontario, Baie des Chaleurs International Chamber Music Festival in Dalhousie, New Brunswick, the New Music Festival at California State University, Fullerton, California (USA), and broadcast on CBC Radio 2. Elizabeth is currently Composer-in-Residence for Allegra Chamber Orchestra (2017-present).